The Keypad game is the best place to start when first hosting SpeedQuizzing. It is the closest to a traditional pub quiz / bar trivia as well as being great fun in the classroom or workplace. 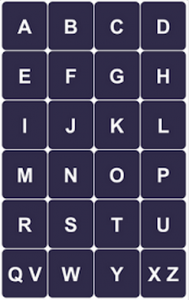 Many users find the Keypad game adequate for all of their hosting needs. It is fun to play for everyone, easy to host and includes optional extra variations and twists such as Go-Wide and Evil mode which can be enabled to maintain players interest time and time again. 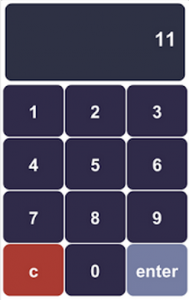 The Keypad game features three different keypad views for players to use to input their answers. These are Multiple Choice, Letters and Numbers. How to host a keypad round. Before you start it’s important that you understand the three different question-types which make up a Keypad game. Here is a brief summary. You (the host) read a question from the laptop screen followed by between (depending on the question) two and six multiple-choice options. 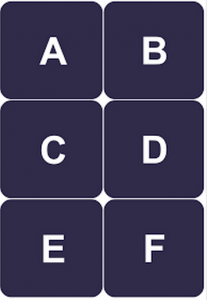 The A,B,C,D,E,F layout means there is the flexibility to write questions with as few as two options, for instance A. True B. False… but also to include questions with up to six options. However most multiple choice questions in our quizpacks will be in the traditional four-option format utilising the A,B,C and D options. Tip: It’s advisable not to pre warn players how many options a particular question will have to choose from. Instead you should simply stop reading at the end of the final option. The reason for this element of surprise is to stop players from pre-empting what is coming next. EG if you ask “What is the capital city of France?, and here come your four options”…. “Is it A. London… B. New York….C. Rome?” then players can jump in (using the process of elimination) pressing “D” the moment they hear the word Rome. However if they are oblivious to how many options to expect then they must wait to hear the word Paris before submitting their answer. You (the host) read a question from the laptop screen. Generally you will have explained the rules of a Letters question at the beginning of the round whereby players simply need to input the first letter of the answer, omitting ‘The’ in answers such as ‘The Lion King’ and always using a person’s first name, E.G. “P” for ‘Sir Paul Mcartney’. Tip: Little reminders of this along the way can help, especially if new players are joining in mid way through. You (the host) read a question from the laptop screen. A numbers question might be a four-digit year question or a maths question or anything else where a number can be an answer such as the age of a celebrity or the number of players on a particular sports team. The main way that a numbers question differs from Multiple Choice or Letters is that players must press Enter to submit their answer. Tip: Occasional reminders of this throughout a round can be a good thing. Tip: When writing your own questions you might find that some number questions work better in Multiple choice format. For instance a difficult year question may work better if they are given the choices A. 1951.. B. 1961, etc rather than a numbers question where they’d be expected to guess 1961 exactly right. I understand the three question formats and I’m ready to load a Keypad round. ￼…click Load on the Keypad section. Select a red SQQ Keypad file. A good starting point is this file.. 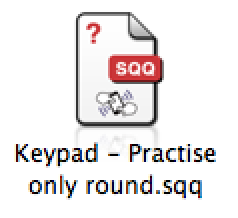 This SQQ file can be found in a folder called ‘Practise Quizzes Not to be asked at a quiz’ and contains the three different types of Keypad question mentioned above. Whilst on this Round Settings page you will notice that the players devices are rotating through some help screens for the three different types of question. Whilst this is happening you should click the round rules button which is found near the top of the screen and will display some instructions for you to read out prior to starting the round. Once everyone understand’s the game, hit the blue Start round button. Tip: Whilst this box is ticked, instructions will appear on the player’s device prior to each question. This can be unchecked once all players understand the game. You are now ready to read out one of the three types of question from the laptop screen. From the moment you commence reading the question from the laptop screen, players can start inputting their answers. It’s important that they are aware that they DO NOT need to wait until you have finished reading out the question to submit their answer. Once you’ve completely read out the question (+Multiple choice options where applicable) you hit the blue End Timer button which signifies that players have only 10 seconds remaining to submit their answer. Tip: With a large noisy crowd it is advisable to repeat the question before clicking End Timer. Also on a multiple choice question it is good practise to repeat the Multiple Choice options during the 10 second timer. Tip: The question (and Multiple Choice options) can also be displayed on the optional Live Screen, but it’s advisable to wait until you’ve fully read the question (and options) from the laptop screen prior to displaying it on the Live Screen. At the end of the 10 seconds any devices which have not been touched will lock-out displaying a padlock. Now following the on screen instructions (green text is announcements, black text is instructions for you) you will announce how many teams answered correctly. Then at the exact same time as pressing the blue button you announce the correct answer. (Syncing the pressing of the blue button with announcing the correct answer does help create a fun atmosphere by encouraging the crowd to join in cheering with the sound effect. Forgetting to press the Blue button at this point simply means that the cheering effect will play in isolation later, having a less than desired effect). Tip: When instructed to click a blue button this can be done either on the host screen or using the Optional Quizmaster’s handset, or alternatively by using number 5 on your computer keyboard as a shortcut. Now you will announce the name of the team/device who were the fastest team to answer correctly. At the same time as this you should press the blue button again which will play the corresponding team’s celebratory Buzzer ID sound. On the rare occasion where no correct answers are submitted, these two aforementioned steps will not happen. 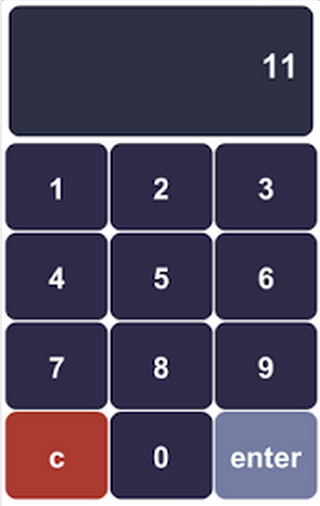 Any of the three types of Keypad question can include a picture which will be beamed to the players devices. Open an SQQ Keypad file which contains a picture question. Once a picture question is showing on the laptop screen, you can announce that ‘A picture question will be appearing on your screens shortly, once it displays you must tap the picture to return to the Keypad in order to input your answer’. Once they understand how it works you hit the Blue button to start sending the picture, during which time you can commence reading the accompanying text from the laptop screen. EG “Who is the guy on the left?” or “In What year was this picture taken?”. Tip: With a Multiple choice picture question it generally make’s most sense to read out the question whilst the picture is beaming, but then read the options out once the picture has appeared on the devices. Warning: The more devices you have connected the longer the picture will take to beam, allowing you more time to read out the question. Tip: It is not a problem if you haven’t completely read out the question by the time the picture shows on the device screens, simply continue reading to the end of the question. Once you are familiar with the keypad game you might want to spice things up a bit in later rounds. Therefore you have two enhancements to choose from prior to starting a round. Hitting the round rules button with Go Wide or Evil Mode enabled will adjust the rules (for you to read out to players) accordingly. 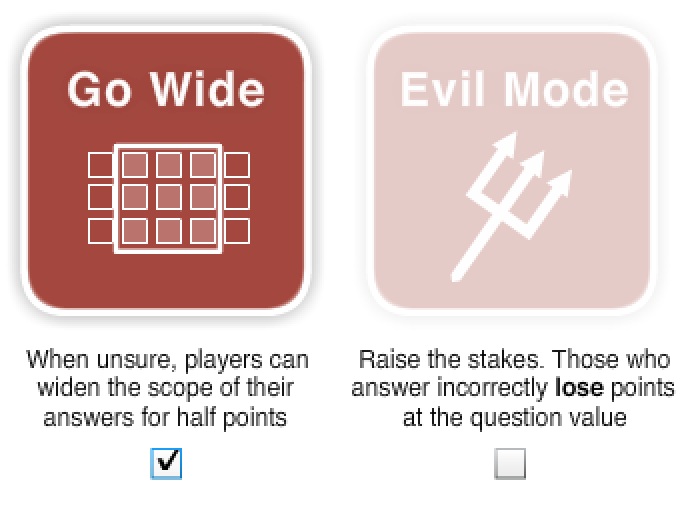 Go Wide gives players an extra decision-making step whereby they have to decide how confident they are with their initial answer to a question and whether they should choose to widen their chances of scoring points by submitting a second (backup) answer. However, by Going Wide (submitting two answers) they forfeit half of the potential points on offer for answering this question correctly. Although in a Numbers question the Go Wide scoring works the same as with Multiple Choice and Letters questions, it handles Go Wide slightly differently. Instead of opting to submit two answers instead of one, a player taps anywhere on the screen to widen their submitted answer by one number either side. EG Going Wide on the year 2013 will additionally include the backup answers 2012 and 2014. Player’s should realise that it is possible to Go Wide and still win the Speed Bonus, even beating slower teams who haven’t Gone Wide. Evil Mode is much easier to explain and understand than Go Wide and works great in the final keypad round of your event. Evil Mode again introduces a decision making gamble, but what Evil Mode does is gives players the option to play safe by not submitting an answer at all since an incorrect answer will award them minus points. Ouch! 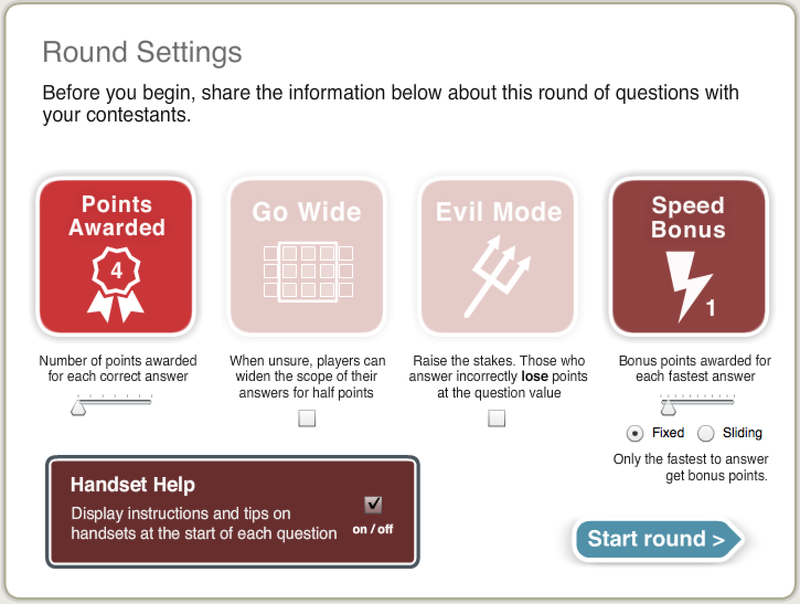 So assuming the Round settings are set to 6 points for a correct answer + 4 speed bonus points with Evil Mode enabled, then each time an incorrect answer is submitted then that team will lose 6 points whereby if they don’t submit an answer they will neither win nor lose points. So that’s the keypad round in all it’s glory (apart from some useful hidden features such as Fast Tracking). Find out more about hidden features here. Below are some old videos of how to host the keypad game. Even though they are old and out of date, some people may still find them useful to watch.